Visit CMA’s Center for Creativity for the annual holiday season celebration of the creative potential of LEGO® building blocks. 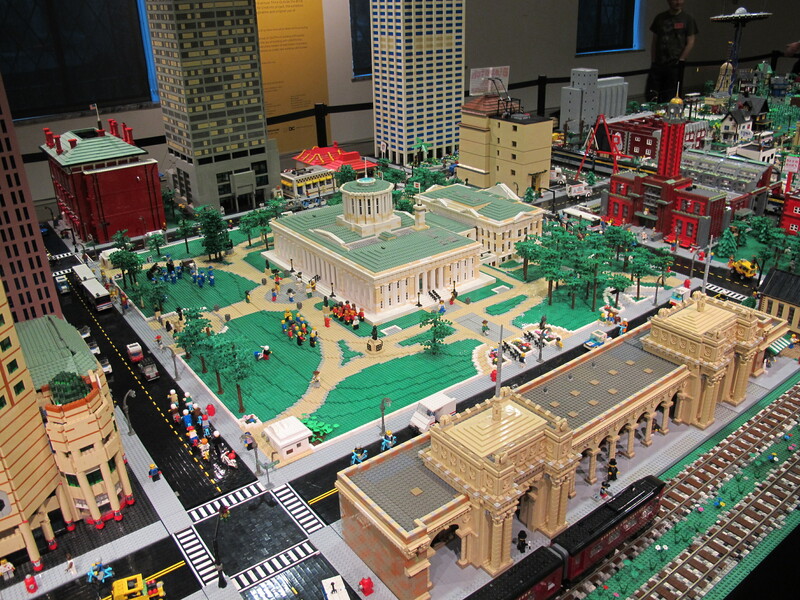 CMA’s Think Outside the Brick: The Creative Art of LEGO exhibition will feature the return of the Central Ohio Lego Train Club’s installation of their LEGO brick version of Columbus. The collaborative work will fill an entire gallery of the Museum and include real and imagined Columbus landmarks with some new additions, including a model of the new CMA. Paul Janssen’s model of The Ohio State University Stadium will be highlighted in the Museum’s new atrium.